The voting for the criteria is done! Now you have time to post your pictures into this thread till the countdown ends. Like we already said in the event announcement: Everybody who wants to participate is allowed to post up to 6 pictures of his house / apartment. Show us the best view of your home! Ok so post the pictures till: Sunday, the 15th July 23:59 CEST. Time is over - now check out the criteria! On Monday, the 16th July 00:01 CEST you're able to send your ratings to the forum account "Committee". You can rate every participant - you don't have a limit. The point range you can use is from 0 = bad - up to 10 = AMAZING! For the rating you have time till Thursday, the 19th July 23:59 CEST. Stay fair - We will disqualify you when we notice that you rate someone else really bad just because you participate too (for example everybody rates them good and you just give 0 & 1 points ) . Also: Keep in mind one thing - just because you may not be the winner after the event: doesn't mean that your house / apartment is not good. 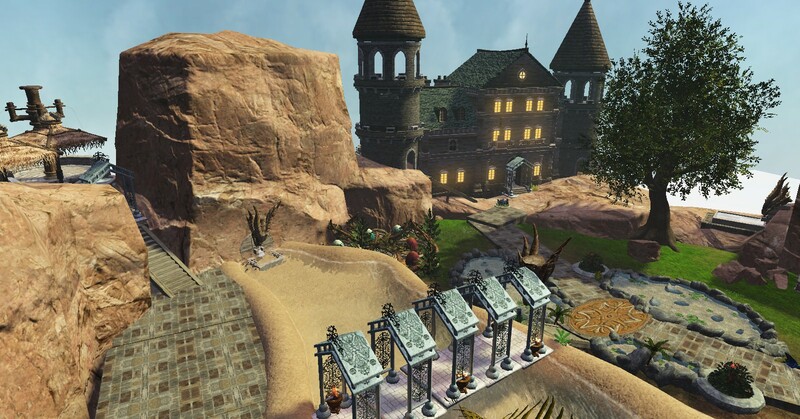 First, I would like to extend a huge 'thank you' to Frostviper for taking the time to decorate my housing plot. He did it all right after migration when he noticed all I had were the buildings and hadn't yet furnished it, except nests. It looked like a ghost town so he offered to fix it up for me. I couldn't pass this up. I'm so happy I did. It turned out wonderful and I'm so proud of it and delighted to welcome friends, guildies, allies, egg dancers, or any passersby to take a tour. My plot is located on Stonecliff south of the citadel about midway down, close to the West zone wall near a humongous tree. The post was edited 3 times, last by Lilytetsuya ( Jul 15th 2018 ). The post was edited 1 time, last by rakan68 ( Jul 14th 2018 ). There are (almost) always eggs to dance for if you'd like to help out or just want some goodies feel free to hit me up in game. You can find me either on Kileah or Eritreia my baby ranger. Give us a shout and we will get you added. Thanks for takin a peek and remember to stop by! The post was edited 7 times, last by Shaikevahn ( Jul 14th 2018 ). Ok, so as i'm sure people have guessed by now...I like to decorate. I moved from my secret apartment to a plot and built this as my new home/pub. Feel free to stop by and have a drink while taking a look around. There are 25 nests for dancers. A burial ground for those who forget to pay the bar tab. A lab beneath the balcony and you can even try to pull the frost sword from the firey stone. View from the cliff opposite. The post was edited 2 times, last by Vithika ( Jul 15th 2018 ).